We were thrilled to join the exclusive group of designers chosen to transform this year’s Arkansas Symphony Designer House back in May. 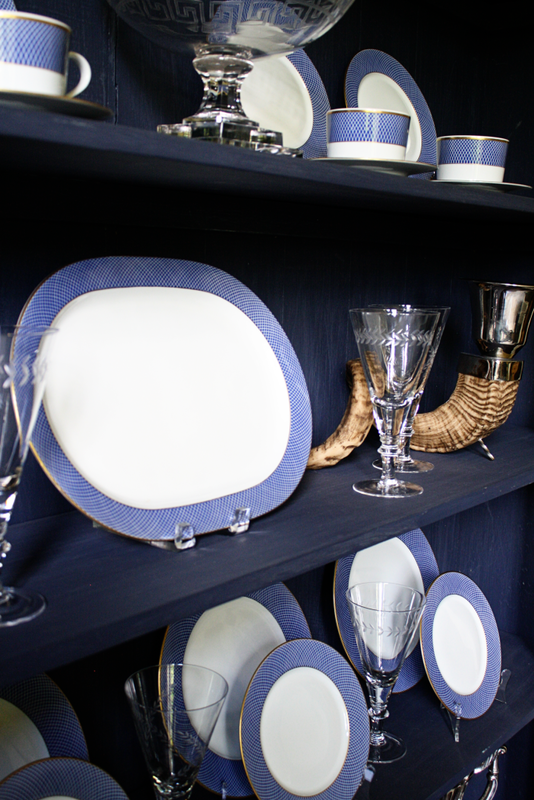 We quickly got to work updating the home’s dining room. 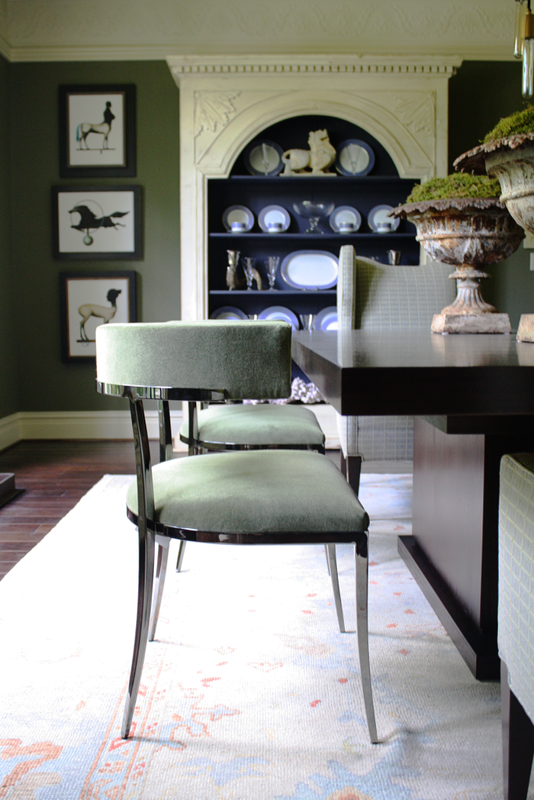 To create a dramatic dining area, the Massimo Interior Design team took inspiration from the blackened nickel dining chairs from the Massimo retail shop, which offer a contemporary spin on the classic empire chair style. 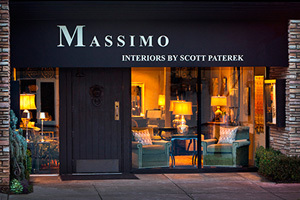 Scott Paterek, who participated in his first Symphony Designer House more than 25 years ago, wanted the space to feel clean yet collected. 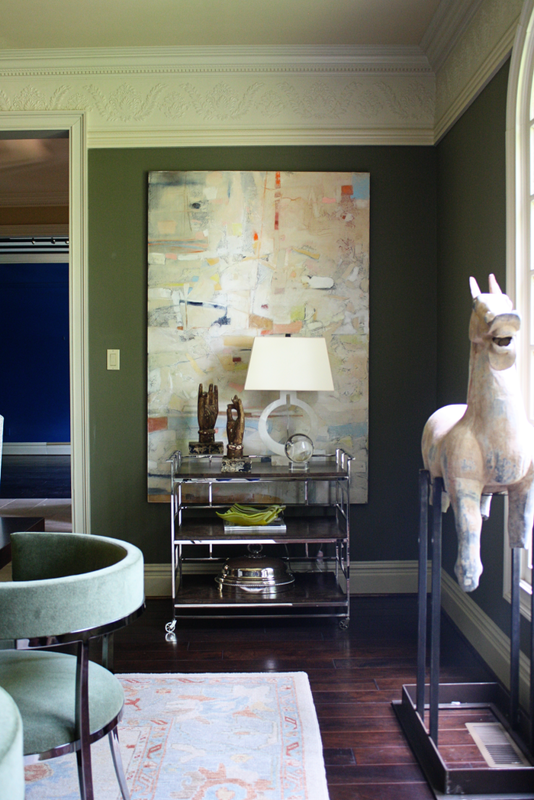 A display cabinet from Marshall Clements acts as a fixture of the room. 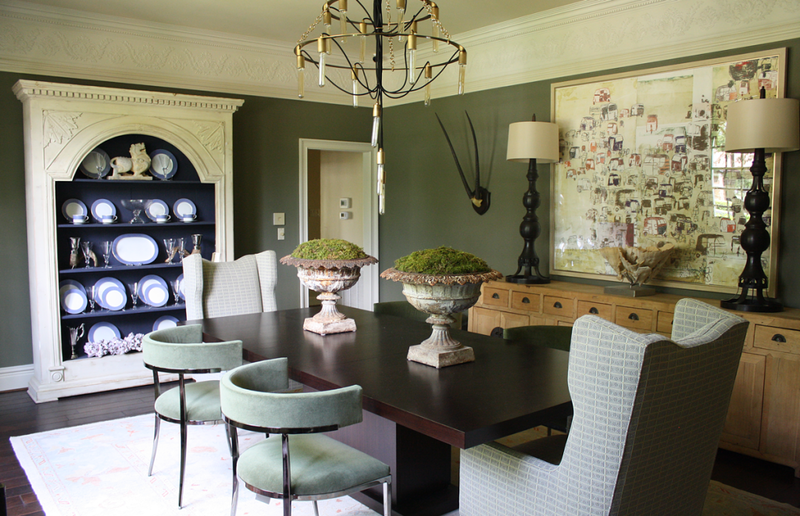 A rustic Asian buffet from Roy Dudley Estate Sales makes a statement without overwhelming the space, while original artwork from Eleanor Dickinson—created after a trip to India—hangs above it. The result is a simple, soothing space that allows a few key pieces to stand out.